The kitchen can be a daunting place for blind people, due to a reduced ability to map out the environment. 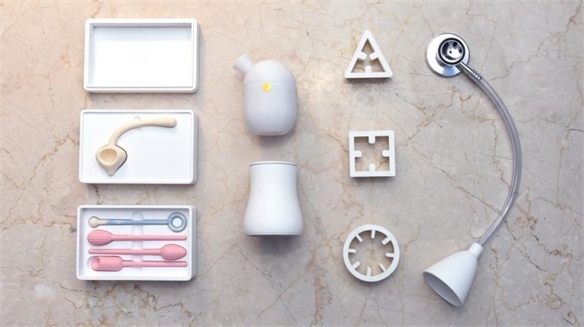 To open up this space to these consumers, Singaporean product designer Kevin Chiam has designed a kitchenware toolkit to help those with visual impairments navigate cooking with confidence. 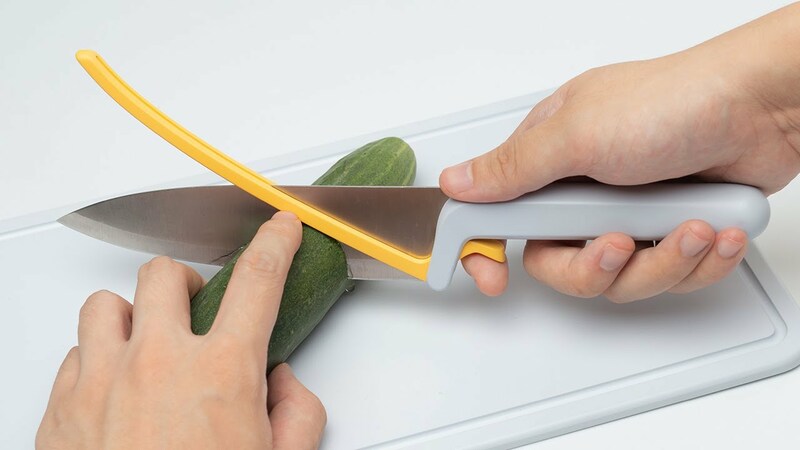 The five-piece Folks toolkit includes a retractable knife guard that acts as a barrier to protect fingers when cutting and preparing food. 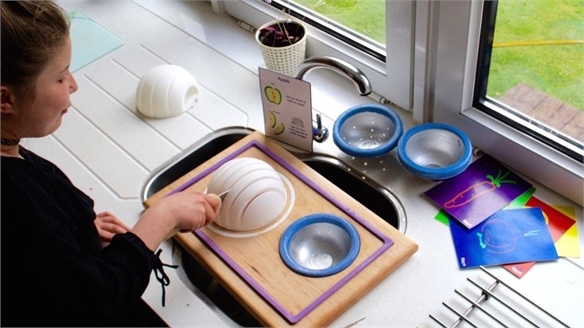 There's also a tray that clips onto the side of the chopping board to assist with transferring food from board to bowl, and a stove ring that sits above the burner – helping users to recognise the boundaries of the hob ring, and prevent topples and spills. 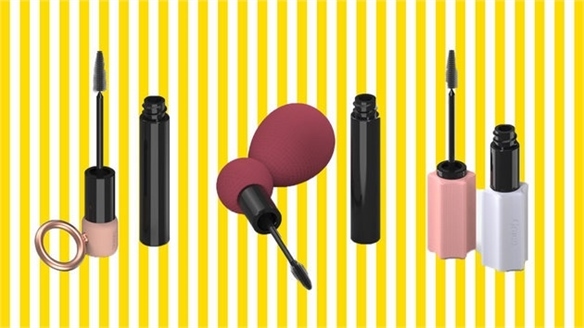 The kit also contains a pot lid that acts as an extra vessel for utensils and ingredients, and a teaspoon with an integrated float that lets the user know when liquid is nearing the top of the glass/bowl. "For the blind, preparing food naturally becomes challenging as they learn to cope with the uncertainties of spills or injuries like knife cuts or burns," said Chiam. "The objective is thus to imbue individuals with confidence, so that they can overcome physical and mental barriers to appreciate and attempt cooking." For more cleverly built kitchen kits for specific consumer groups, see New Architecture of Taste and Kitchenware for Kids. See also Access for All for an in-depth dive into how brands are accommodating people with disabilities. 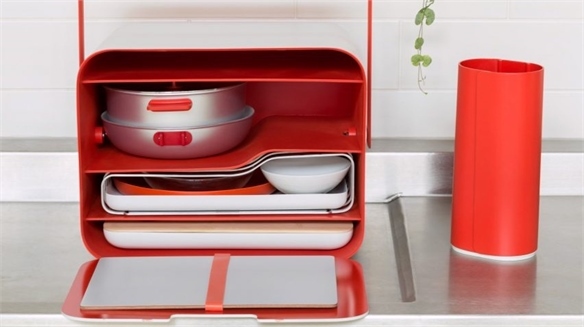 Carry-Case Kitchen for Space-Poor Millennials Kitchen In a Box As urban dwellers become ever more space-deprived, kitchen brands and designers are finding creative ways to develop multifunctional and compact space-saving devices. 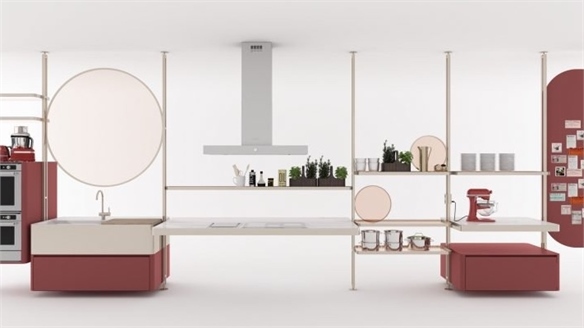 The latest to adopt this thinking is London's Royal College of Art graduate Yu Li, with her portable kitchen. 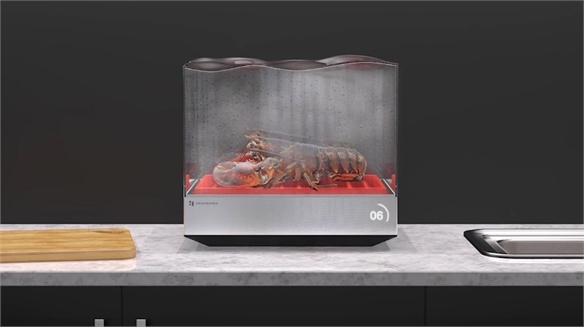 Compact Kitchen-Top Dishwasher Compact Kitchen-Top Dishwasher UK water-heating company Heatworks has collaborated with London studio Frog Design to develop a compact countertop dishwasher that operates without the need for plumbing or electric heating elements. 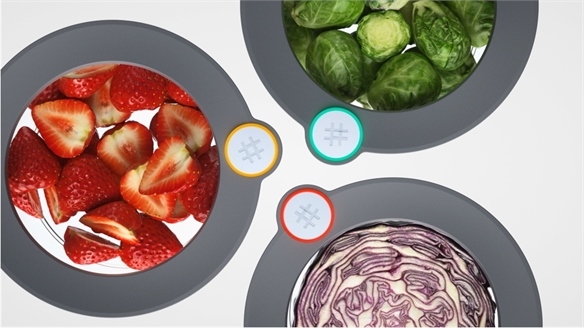 LED Food Storage System LED Food Storage System Aiming to help consumers reduce their food waste, Chicago-based start-up Ovie has developed LED tags that allow individuals to track how long food items have been in their fridge. 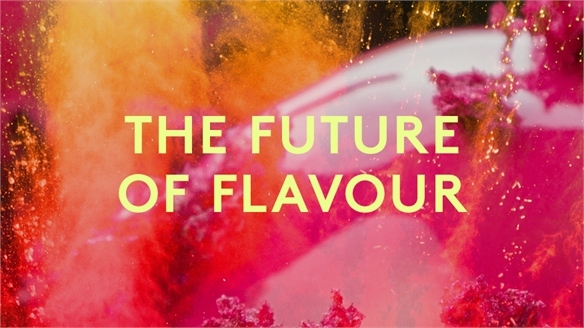 Culinary Toolkit for Kids Culinary Toolkit for Kids London's Royal College of Art graduate Florencia Sepulveda has designed a set of tools and an accompanying cookbook to encourage children to experiment with new ingredients and flavours. KitchenAid’s Future Kitchen Concepts KitchenAid Future Kitchen Concepts As part of this year's London Design Festival (September 16-24), US kitchen appliance brand KitchenAid tasked eight architects and designers with presenting their visions of the future of the kitchen for the brand's Serious About Food Kitchen Lab – on display in its showroom during the festival. Kitchenware For Kids Kitchenware For Kids Graduate designer from the University of Dundee Katrina Steven has developed a kitchenware kit that allows children to safely get involved in food preparation at the same time as learning about portion control in an effort to fight childhood obesity. 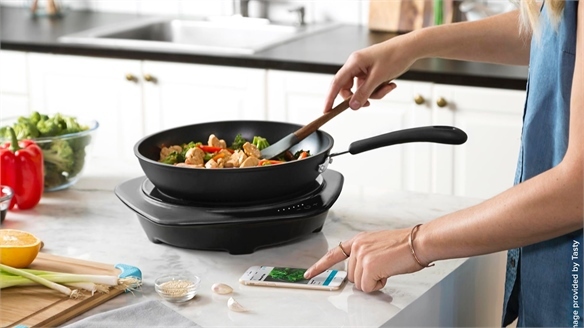 BuzzFeed’s Bluetooth Cooktop BuzzFeed’s Bluetooth Cooktop American media giant BuzzFeed has launched an electronic cooktop designed to be used alongside its viral food video series Tasty. 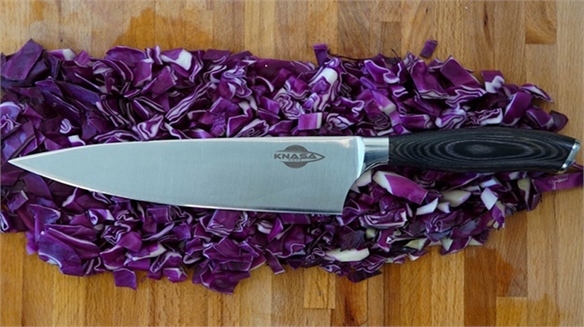 Nasa-Approved Self-Sharpening Knife Nasa-Approved Self-Sharpening Knife California-based start-up Habitat has developed a NASA-approved kitchen knife that sharpens itself. 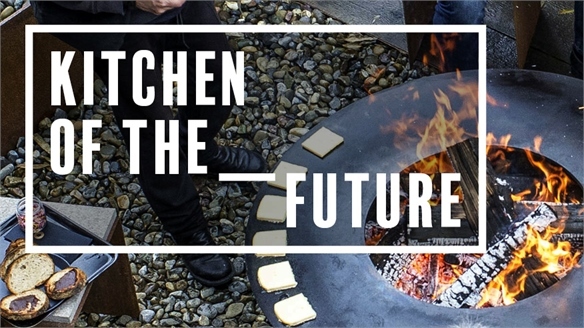 Kitchen of the Future Kitchen of the Future Looking beyond food preparation and storage, the modern kitchen offers a microscope into consumer change. Brands that understand these spaces and what they represent will lead the race to new product development. 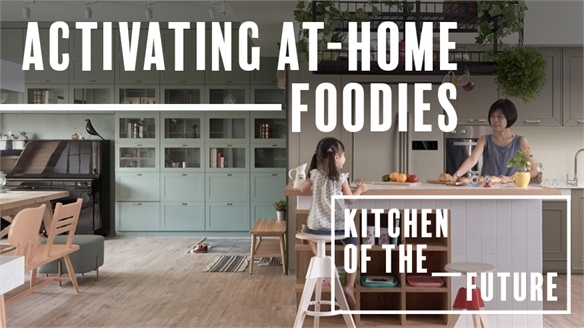 Activating At-Home Foodies Activating At-Home Foodies Consumers’ desire to feel professional in their kitchens is enabling shrewd brands to position themselves as indispensible sous chefs. They’re facilitating easy accomplishments, crafting sophisticated shortcuts and developing time-saving tech.